Ofcom says up to 36,000 households could be affected by 4G Freeview interference, a massive reduction from earlier estimates. 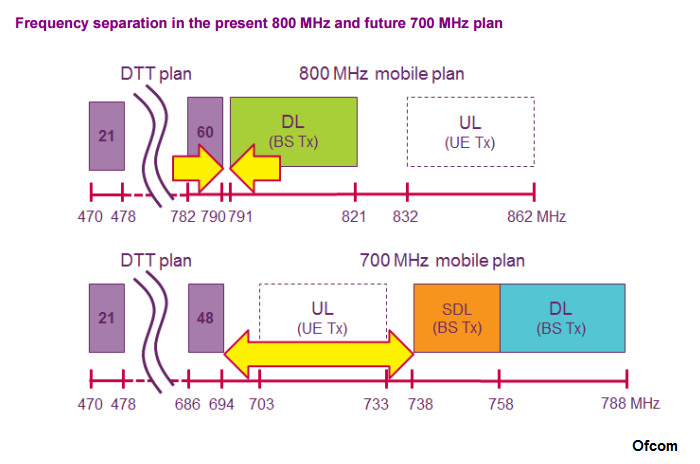 In its latest analysis on the situation, Ofcom projects there will be between 25,000 and 36,000 confirmed cases of mobile phone interference to Freeview as a result of the roll-out of 4G services in the 800MHz frequency band, and expects a "broadly similar" number to be affected by the addition of 5G mobile services in the 700MHz band, due to follow in the early part of the 2020s. It is a far cry from the 760,000 households once predicted by Ofcom as being likely to be affected, which turned in to "millions" in tabloid newspaper headlines back in 2012. The analysis comes as broadcasters, network operators and infrastructure owners prepare to move Freeview channels in many parts of the UK to new frequencies, for the second time this decade. The North of Scotland will see changes starting this summer. Former TV frequencies are being converted for use by mobile network operators for 4G/LTE services and later 5G services, with the frequency range ideal for providing widespread coverage, but their proximity to TV frequencies can cause problems. Looking ahead to the introduction of further mobile services on former TV frequencies, Ofcom predicts that new filters will be technically the best way of stopping interference, although existing filters designed for just the 800MHz band will need replacing with ones covering both the 700MHz and 800MHz bands. In the future there will also be a bigger gap between the frequencies used by Freeview and frequencies used for mobile networks, reducing the risk of interference further. The regulator cites work taking place in France, where mobile services have started in the 700MHz band causing low or little interference. Affected households are entitled to assistance from DMSL, a company set up by mobile network operators to help mitigate mobile phone interference to Freeview. It currently trades under the name "at800" and provides remedies including filters to block interference. 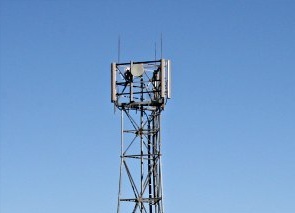 In some cases, new aerials have been offered to a small number of households who are affected by shifting TV frequencies. Ofcom data suggests that households using amplifiers and indoor aerials are among those most prone to interference. Satellite and cable viewers are broadly unaffected by the introduction of new mobile services, although Ofcom has indicated that cable set-top boxes and modems can potentially suffer interference due to ingress when a 700 MHz mobile handset is operating nearby. In the event of any such issues, it says, "mitigation can be effected by moving the mobile handset a short distance away from the cable system equipment".